2.SHR (OPT) works by gradually heating the dermis to a temperature that effectively damages the hair follicles and prevents regrowth, while avoiding injury to the surrounding tissue. 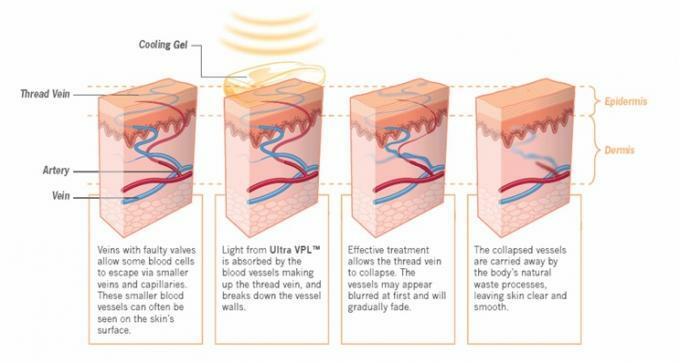 A high repetition rate of short pulses are delivered deep into the dermis, achieving high average power and therapeutically effective heat build-up, with virtually no pain. What is VPL(variable Pulse Technology)? 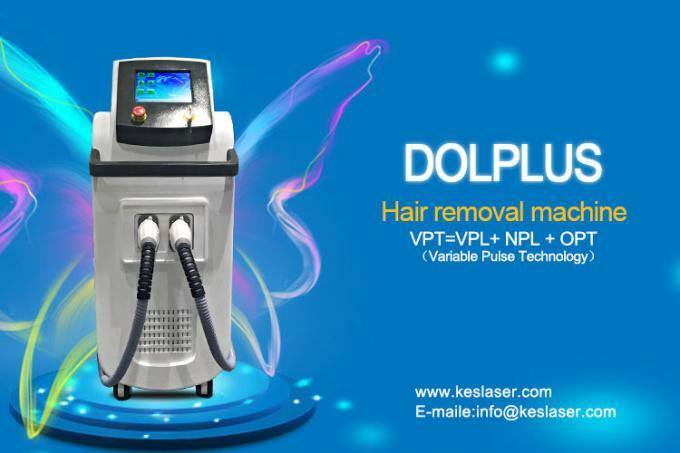 duration and delay can be adjusted independently.The flexible VPL mode heats the treatment area more effective and precisely.meanwhile,the surrounding areas could keep a safe and soft temperature.VPL is proved effective and safe to all types of skin(hair removal,skin rejuvenation,acne treatment and etc. )VPL is publicly declared safest IPL! 1).Promotion model, best price in China! special supply for distributors. 4).Interchangeable Xenon lamp cartridge; guarantee 70.000 shots. 6.How many treatments will I need? 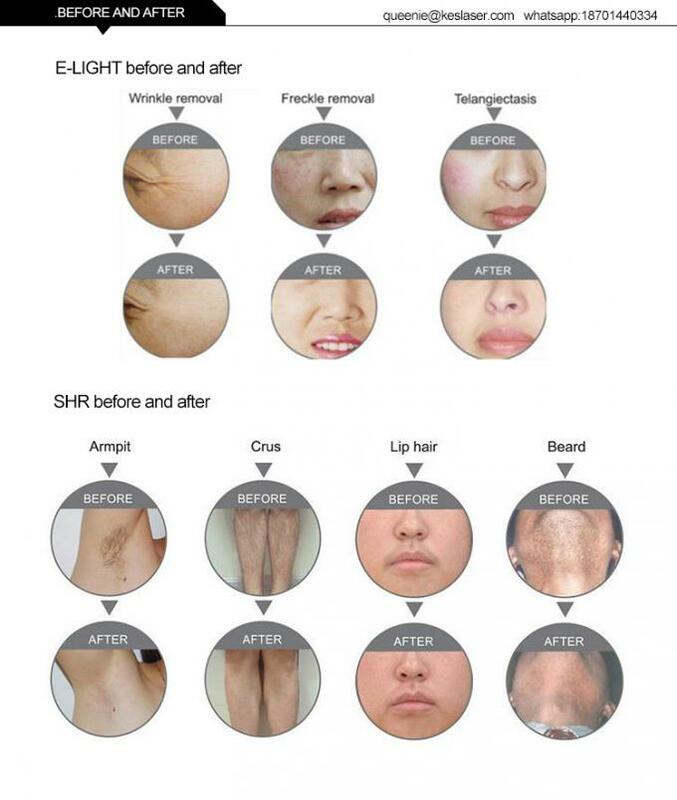 Skin rejuvenation treatments are administered every four weeks. Age, ethnicity, weight,hormones, diet, medication, metabolism and sun exposure all play a part in your skin's condition. The number of skin rejuvenation treatments depends on the area treated, your expectations and your goals.Usually, 3 - 5 treatments are sufficient. 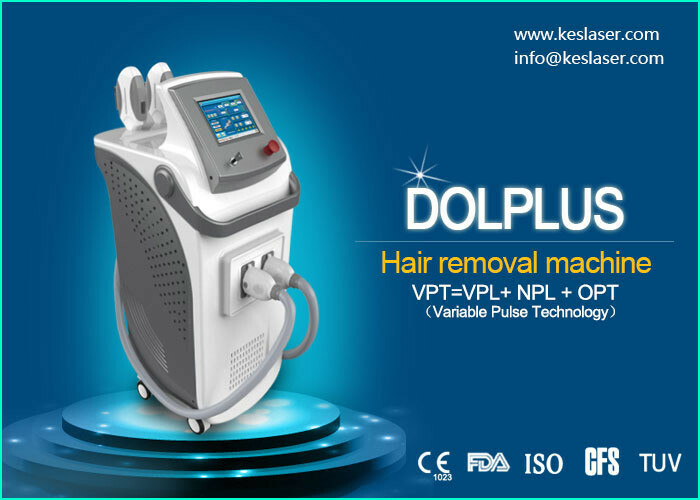 Elight Hair Removal Machine usually requires multiple treatments. For some people 2 - 3 treatments are sufficient; however, black or white hair responds at different rates.